Back when I was a kid, when Father's Day rolled around the stores pulled out all their displays filled with ties, golf balls, fishing gear and mugs. It's not to say that dads these days aren't into those things still, but let's be real here. How excited can Dad get over yet another tie? Instead, a gift that would truly be enjoyed (and actually used) is something that would appeal to Dad's true love: his gadgets. And whether he uses an iPod, iPad, iPhone, Blackberry, laptop, GPS or more, the site that has an incredible selection of unique, high quality cases for all sorts of devices is none other than Speck. Founded with the vision that although delicate items need to be protected, cases can still be stylish and interesting while being functional, Speck promises their customers a good quality case that reflects their unique personality and taste. And really, how many black leather cases are there out in the world already? Isn't it time for a little fun in your (or his) life? For someone into gadgets, browsing the Speck website is a little like entering a candy store. Incredibly user-friendly, simply select your device and the endless, attractive options are laid out before your eyes. The hardest part is deciding the type of case that you like best... not to mention choosing between the great color and pattern options. Blue? Purple? Pinstripes? Houndstooth? There truly is something for everyone. Ever since I purchased an iPod Touch, I've been worried about it. I don't ever want to carry it anywhere because I'm afraid of it being dropped or scratched... so it ends up sitting at home in the case. Not very useful. But from the moment I laid on a Speck ShieldView Screen Protector and snapped on a Fitted iPod Touch case, all of my worries were washed away. 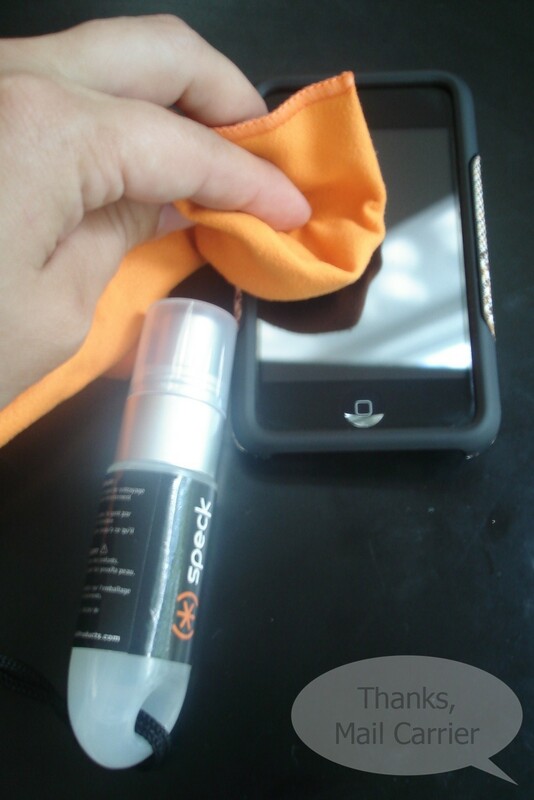 I began first by cleaning off the incredibly large number of smudges and fingerprints with Speck's CrispView Cleaner & Cloth, a lifesaver for keeping the screens of any of your devices clean and clear. One spray on the attached cloth (I love that the cleaner and cloth are attached together, otherwise I'm sure one would be lost immediately!) and the screen became shiny and new after a few wipes. This product is definitely sticking around for every other grimy gadget we own - I was amazed at how much easier it was to see my laptop screen when all the dirt was removed! The ShieldView Screen Protectors are so much better than any that I have seen before because of their innovative static-cling technology. Instead of sticky residue, peeling or air bubbles that would drive me crazy, this laid right on easily and can't even be seen. 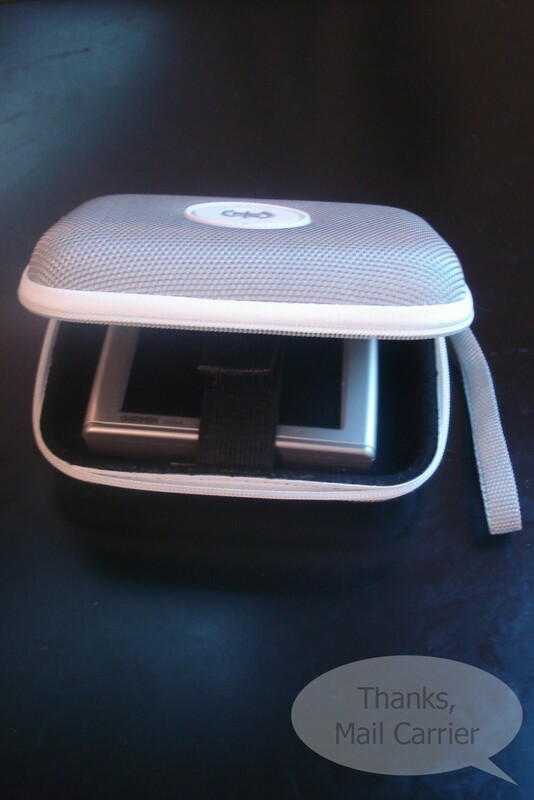 Available for all sorts of devices and cell phones (think of the grossness it could keep off of your Blackberry or iPhone), I am so glad knowing that my iPod screen won't be scratched as I casually drop it into my purse or diaper bag. For great safety though, Speck's huge variety of stylish cases fit snugly to your device and look fashionable while providing security. The Fitted case I tried clicked right together and is strong and sturdy while still looking cute with the fabric covering. It couldn't have been easier to install and is completely worth the peace of mind knowing that even the corners are now protected from falls or other mishaps. To fully ensure that this is one electronic item that I'm not going to damage, I love the convenience (and style) of the TwoZip Case for toting my iPod around. Designed to safely transport your WD portable hard drive or other small device, I've found that I can slip the Touch into the larger, fully lined pocket and keep the earphones and charging cord cleanly stashed in the smaller pocket. Knowing the way that cords mysteriously disappear around my house, this is the perfect thing for traveling or just a little organization. Not to be left out, the Speck TechStyle Case has been doing wonders for keeping my GPS in better shape while I casually throw it in my glove box or stuff it into my car's center console. 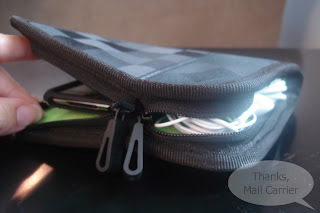 The molded shell on the outside and the soft lining and Velcro on the inside make this a great item to have to keep your GPS or any other small devices (the kids' portable video games, perhaps?) safe from being crushed orcovered in dirt. For you or for a Father's Day gift, no matter what device is used most in your life - it needs to be protected. 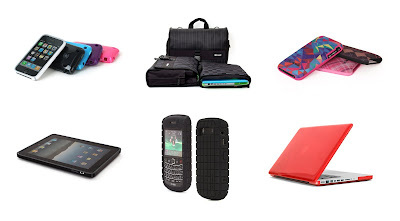 From sleek, glossy options like the CandyShell Case for the iPhone and iPad, the soft, no-slip grip of the PixelSkin Case for the Blackberry or the cool and comfortable AftPack Backpack to carry your laptop in style, Speck has it all. Their award-winning products will keep you and your mobile electronics safe and fashionable at home or on the go. Three lucky people will win their choice of an amazing Speck case* for any mobile phone! ARV $35! *Winners will have the choice between a CandyShell, Fitted (excluding ArtsProjekt), SeeThru, PixelSkin or SeeThru Satin case for their mobile phone. Winners' selection MUST be in stock on Speck's website in order to be eligible as a prize. To enter to win: Visit Speck Products and tell me which of their unique products, including color or pattern, is your favorite. 3 Extra Entries if you blog about this giveaway linking back to Thanks, Mail Carrier and Speck Products. Please leave an address where it can be found. Giveaway will end on July 1st at 11:59pm CST. Do me the favor of leaving an email address or making absolutely sure it is visible in your profile, I have to have a way to contact the winner. The winner will be chosen by random.org and announced here as well as emailed and will have 48 hours to contact me or respond to notification or a new winner will be chosen. This giveaway is open to residents of the U.S. and Canada only. A big thank you to Speck Products for providing items for me to review and a mobile case of choice for three lucky giveaway winners. The opinions shared are my own and honest and if you really need to see more, click here to see how I roll. I like the chemical girl shell for my iphone! 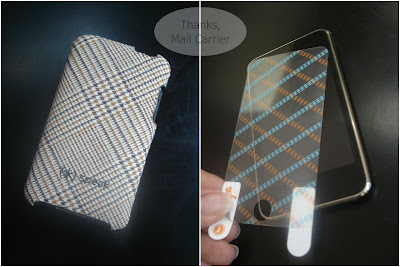 The SeeThru Case in Clear for the Blackberry Curve. I follow via GFC - 1st entry. I follow via GFC - 2nd entry. I'm a fan Thanks, Mail Carrier on FB - 1st entry. I'm a fan Thanks, Mail Carrier on FB - 2nd entry. Hi! I am hopping over to follow you from Follow Me Back Tuesday. I like the batwing black! I like the SeeThru cover for my wife's Macbook Pro. It's only in clear, thanks! I'd get the CandyShell for my husband's phone in "batwing black!" I like their Candyshell for iPhone 3G in JamJar Purple! posted comment to Speck wall. I like their core pack. The Speck Seethru Satin for iPhone 3GS looks unique and amazing! 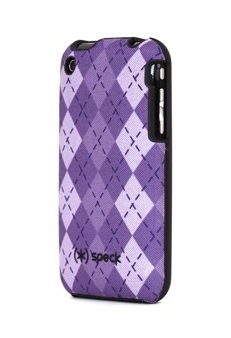 The Candyshell case for iphone in nightshade purple. I like the purple/pink candyshell for the iphone! I entered the activeion giveaway! I entered the lime ricki swimwear giveaway! 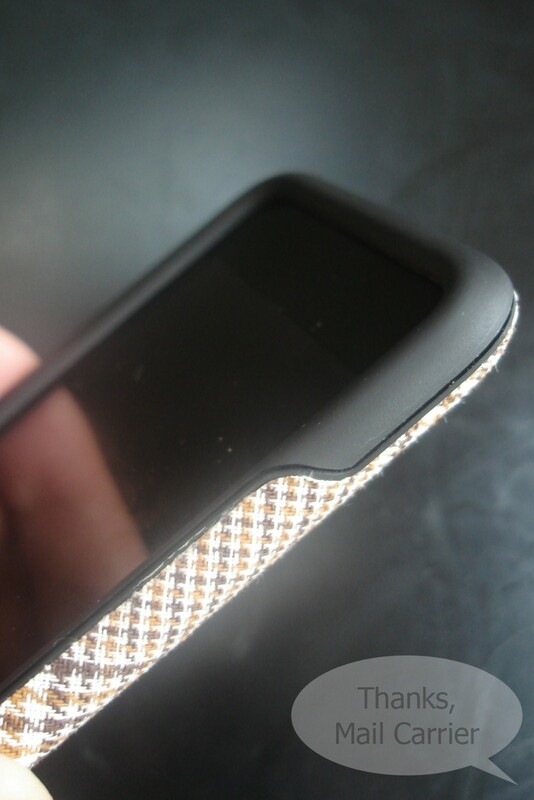 I would have to get either the TechStyle or TwoZip, for my iPod Touch. In pinstripe!! I need something I can tote around my earphones in too. I would love the CandyShell for the iPOD touch 2nd generation in Bubble Maker Pink. Thanks for the chance to win! I like the Candy Shell in Juju Julep green (iphone). I like the AftPack Backpack in Coffeehouse Brown Plaid.